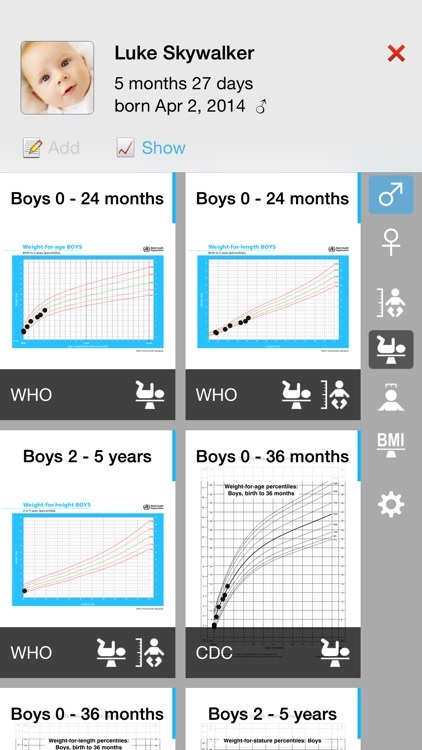 Whether you are a parent caring for your own child or a pediatrician, this growth charts app is for you! 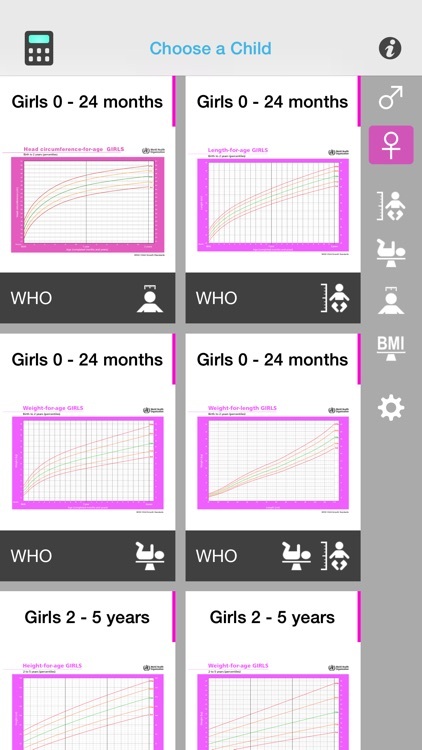 It allows you to track childrens' growth over time and display the data points on any of the included WHO and CDC growth charts. 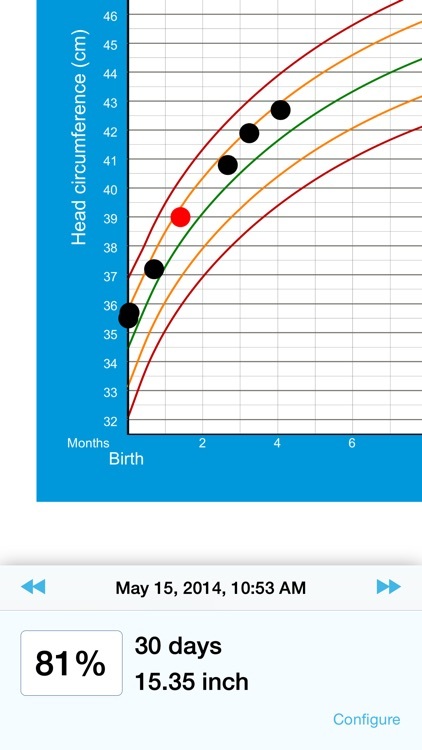 You can track height, weight, head circumference and BMI and determine the corresponding percentiles. 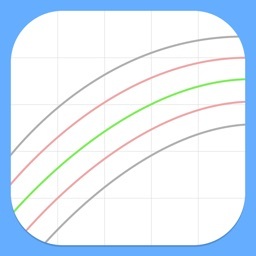 There is also a percentile calculator for quick percentile lookup in case you just want to know the percentile of today's measurements. 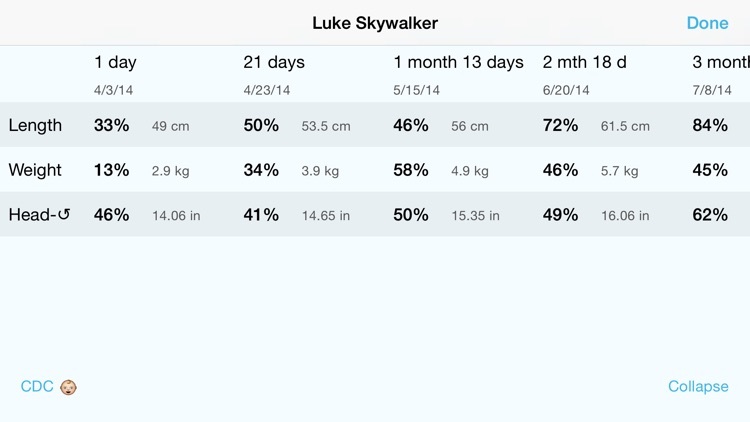 You can add as many children and measurements to the built-in database as you like. The data is encrypted – if you have a passcode on your device – meaning it is secure should you lose the device. 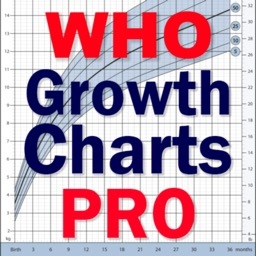 The measurements are directly added to the growth chart PDFs. You can email these PDFs, print them out (if you have an AirPrint enabled printer nearby) or share them with other means provided by iOS, such as storing into your Dropbox or box.com. You can do the same with a spreadsheet file containing all this kids on your device, or one file per kid. Finally, there is an export option so you can transfer all your data to a different device of yours or a colleague. 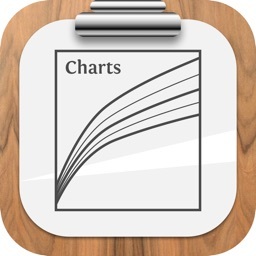 Whether you're used to the metric system and have all data available in centimeter and kilogram or whether you're in the US and using imperial units, Charts has got you covered. You can switch the units you want to use right from the keyboard and these units will be saved as your preferred units. 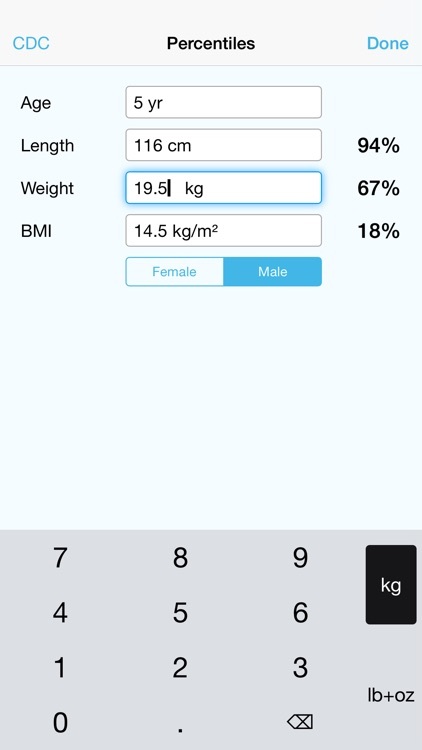 You can also change units from a dedicated list when viewing your child's measurements. 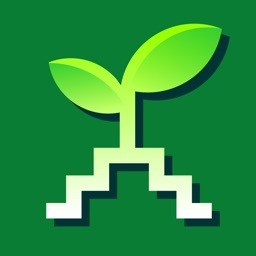 To run this app you will need a device running iOS version 7.0 or newer.